This biography of composer Hector Berlioz (1803-1869) describes with unprecedented intimacy, affection, and respect the life of one of France's greatest artists. After long being regarded as an oddity and an eccentric figure, Berlioz is now being accepted into the ranks of the great composers. Based on a wealth of previously unpublished sources, and on a profound understanding of the humanity of his subject, David Cairns's book provides a full account of this extraordinary and powerfully attractive man. 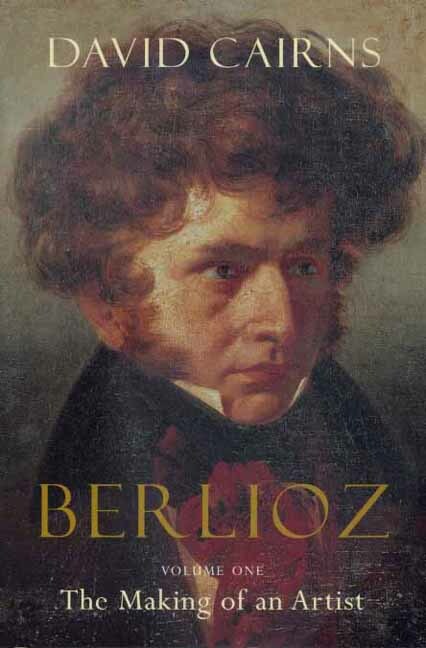 Berlioz, Volume I, previously published only in Britain, is now available to American readers in a revised edition, together with the eagerly awaited, new Volume II. These two volumes together comprise a monumental biographical achievement, sure to stand as the definitive Berlioz biography. In researching Berlioz's life, Cairns has had access to unpublished family papers, and in Volume I he is able to portray all the people close to Berlioz in his boyhood, and to evoke a detailed picture of their lives in and around La Côte St.-André in the foothills of the French Alps. No artist's achievement connects more directly with early experience than that of Berlioz, whose passionate sensibility began to absorb the material of his art long before he had heard any musical ensemble other than the local town band. Volume I also traces the student years in Paris and Italy and discusses Berlioz's three great love affairs, shedding remarkable light on his later character and development. Volume I ends on the afternoon of December 9, 1832, the day of the concert that launched the composer's career. David Cairns was chief music critic of the Sunday Times from 1983 to 1992, having earlier been music critic and arts editor of the Spectator and a writer for the Financial Times and the New Statesman. From 1967 to 1972 he worked for the London branch of Phonogram. He has been Distinguished Visiting Professor at the University of California, Davis, and a visiting scholar at the Getty Center in Santa Monica.